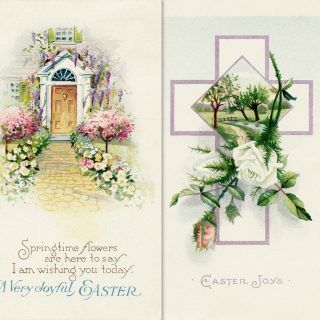 Here are three beautiful vintage floral illustrations. 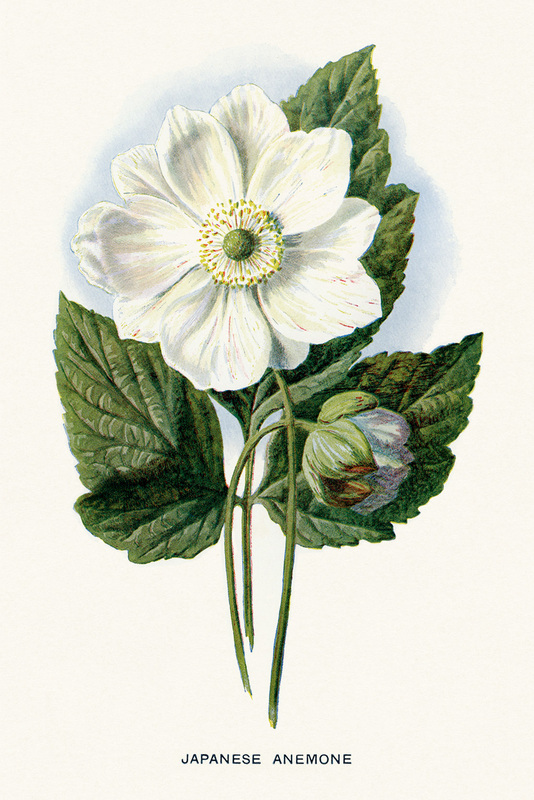 The first flower, above, is a Japanese Anemone. It features a large white flower in bloom with another budding flower. Behind the flowers are three large green leaves. 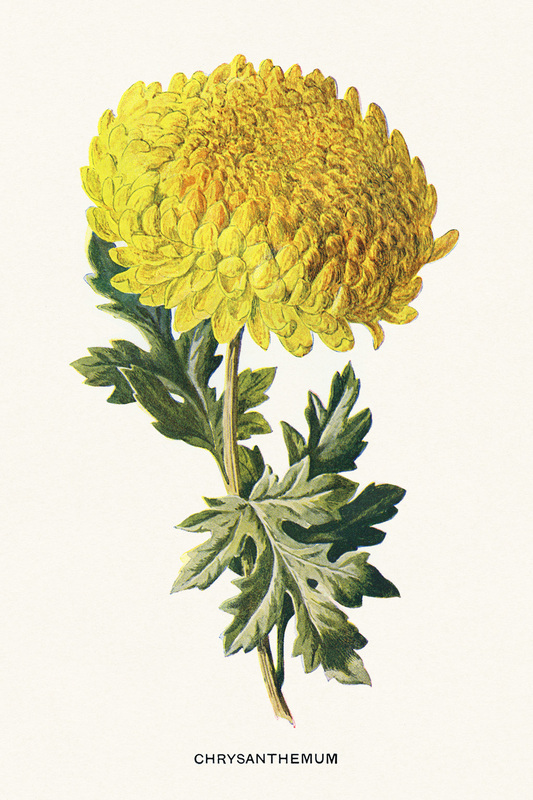 The second flower, above, is a Chrysanthemum showing a large yellow flower in full bloom. The illustration includes three leaves growing from the stem of the plant. 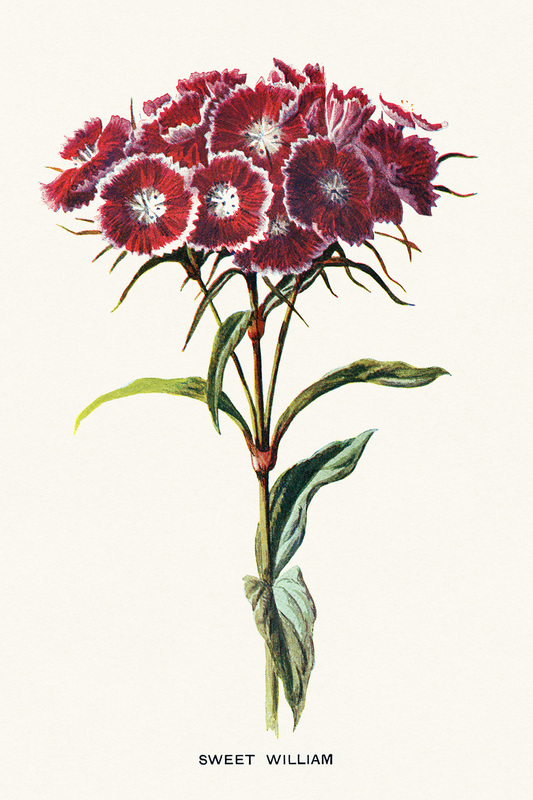 The third flower is a Sweet William. Several red blossoms with white centers and white ruffled edges are grouped together. The flowers are in full bloom. 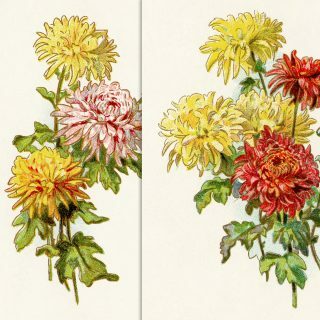 I scanned these original vintage floral illustrations from a set of books in my collection. 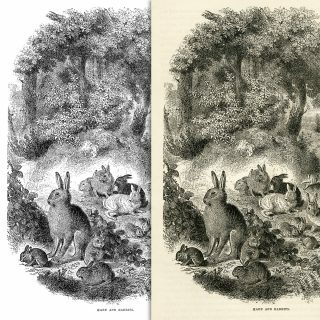 The set of books is circa 1897 and titled Familiar Garden Flowers, by F. Edward Hulme. 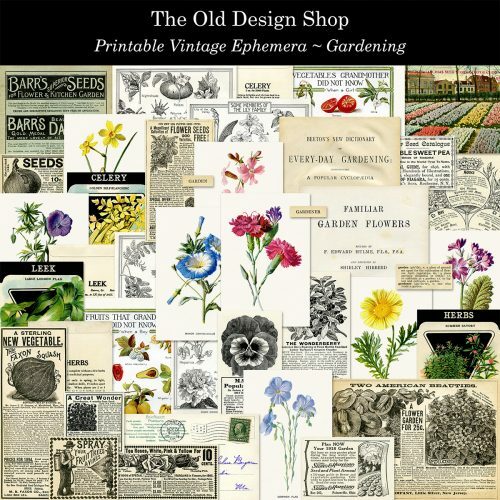 New in my Etsy shop this week is a printable garden/gardening set of vintage ephemera. 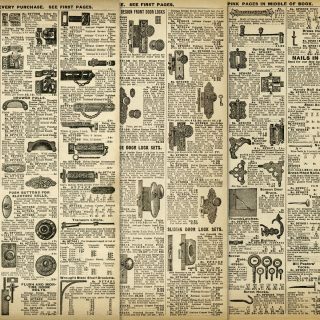 Included in the set are ten printable pages as well as the 40 individual images. Preview is linked to my shop. Beautiful images! My favorite is the white anemone. Thank you for sharing them! I like the Sweet WIlliam! Just perfect. Purchased the Gardening ephemera Set. Thank you for these beauties. These are beautiful! Thank you so much for sharing them with us. Enjoy your weekend! Beautiful again thanks Julie–am completing a botany/gardening journal this weekend so will love using these. So beautiful…thank you very much! Is this the kit that has the black and white sketch of Lily of the Valley? 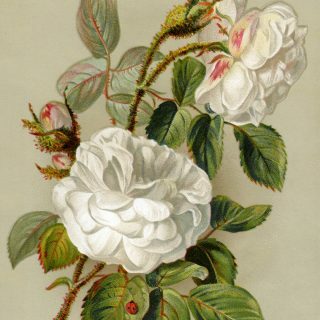 I saw a bit of one of your collection on The Book Vandal’s Instagram and it had that gorgeous Lily of the Valley illustration. I’d love to get that kit. 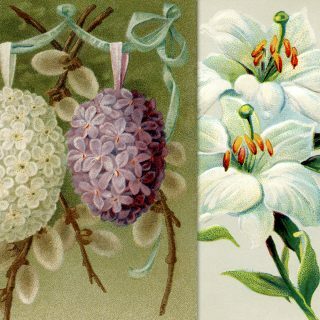 I have several of your stunning kits in my cart right now and would love to get the kit that has the Lily of the Valley too! The gardening ephemera kit includes a sketch of “Some Members of the Lily Family”. A Lily of the Valley flower is included in the sketch. You can get a better idea of everything I’ve included in the kit if you scroll through the additional previews of the kit in my Etsy shop. Thank you! That’s the one. These are beautiful, we use to grow sweet william all the time many years ago, I may have to get some seeds and plant some this year, you have brought back great memories.